With Wayne Rooney calling time on his England career, the last of England's 'Golden Generation' bowed out. Widely considered as England's best chance at winning a World Cup in the Premier League era, they were a mix of technique and brawn as they reached the quarterfinals of the 2006 World Cup in Germany. With foreign players setting increasingly higher standards, the number of English players in Premier League starting XIs has dwindled. Let's take a look at the best team comprising England's best players of the Premier League era. We'll be going with a 4-1-2-1-2 formation. This team consists of players who played a minimum of 5 seasons in the Premier League, so players such as Bryan Robson and Paul Gascoigne have not been considered. Notable mentions include Nigel Martyn (Leeds United), Joe Hart (Manchester City), Sol Campbell (Tottenham Hotspur/Arsenal), Ledley King (Tottenham Hotspur), Robbie Fowler and Michael Owen (Liverpool), and David Beckham (Manchester United). 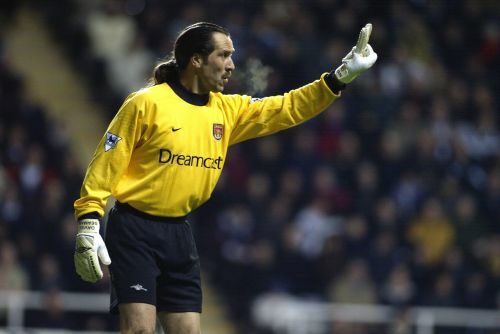 To members of this generation he is remembered for horribly misjudging that Ronaldinho freekick, but keeping that aside, David Seaman was more than a last bastion of defence, and played a major role in leading a largely unheralded Arsenal side under new manager Arsene Wenger to the top of English football, after Bruce Rioch's ill fated spell at Highbury. He was part of the England squad for an unparalleled 15 consecutive years, from 1988 to 2003, playing in 2 World Cups, and helping England reach the semi-finals of Euro 96, where he was as goalkeeper in UEFA's team of the tournament. Almost all his major honours came with Arsene Wenger as manager. He won 2 League titles, 4 FA Cups, 1 League Cup and was part of the Premier League's Domestic Team of the Decade in 2002.